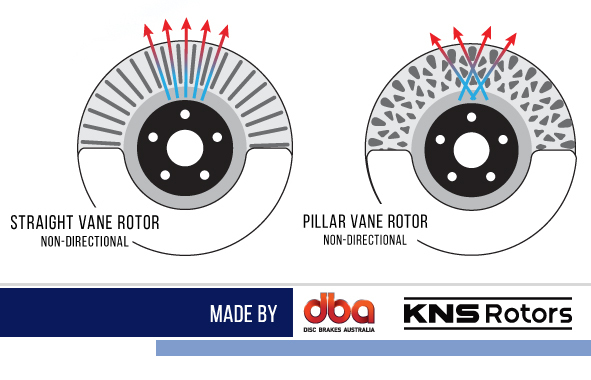 DBA's Pillar Vane design used in KNS Brake Rotors can outperform traditional straight vane rotors by up to 20%. This patented “Kangaroo Paw” design features a series of precisely placed diamond and tear-drop shaped pillars that increase strength and improve thermal characteristics. Combined with DBA's heat treated XG150 alloy user's routinely report a significant increase in braking performance and track like over any other rotors available.